Dozens of car accidents happen across Missouri every day. Each year, nearly 50,000 residents suffer injuries from car crashes. While this is an enormous number, this injury statistic is likely much higher because many people who “feel fine” after an accident never seek medical care. Unfortunately, painful symptoms of damage from whiplash can take weeks or months to develop but lead to long-term damage. Seeing a qualified chiropractor in Joplin, MO for an evaluation and whiplash treatment is crucial for avoiding chronic pain after a fender bender. In many cases, you may experience very mild symptoms and attribute them to general physical stress from the accident. In other cases, you may not even suffer any noticeable symptoms – but the damage exists. Left untreated, whiplash causes long-term damage to your central nervous system, spinal cord, neck, and even brain. What this means is that many of the whiplash symptoms listed above may become permanent or progressively worse over time. People who suffer whiplash are also six times more likely to develop a degenerative joint disease and associated arthritic symptoms. 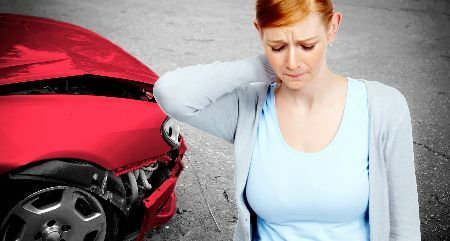 After a car accident, don’t take an ibuprofen and wait for the pain to subside. Take a proactive approach by contacting Dr. Skaggs and his welcoming team at Skaggs Chiropractic in Joplin, MO. Dr. Skaggs has decades of experience helping patients recover from conditions like traumatic brain injuries and whiplash without drugs or painful surgery. Call Skaggs Chiropractic today to schedule a consultation at 417-624-4242.